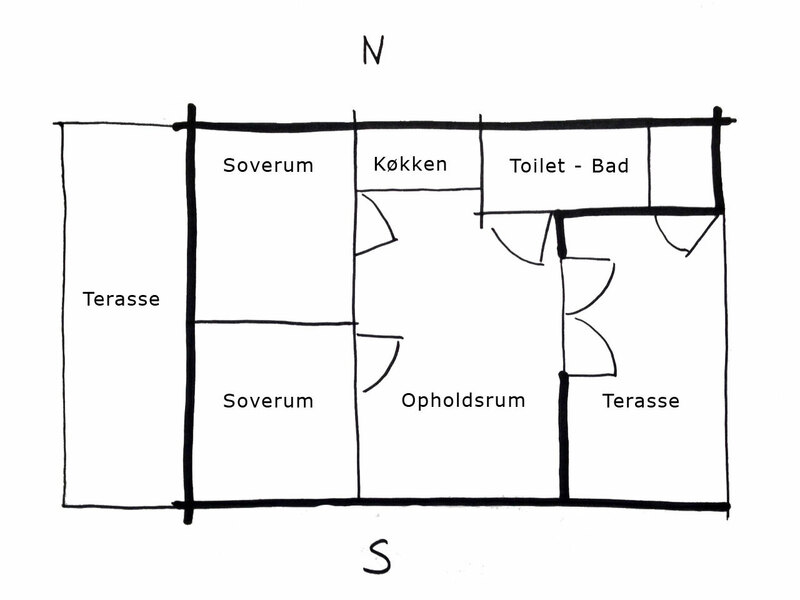 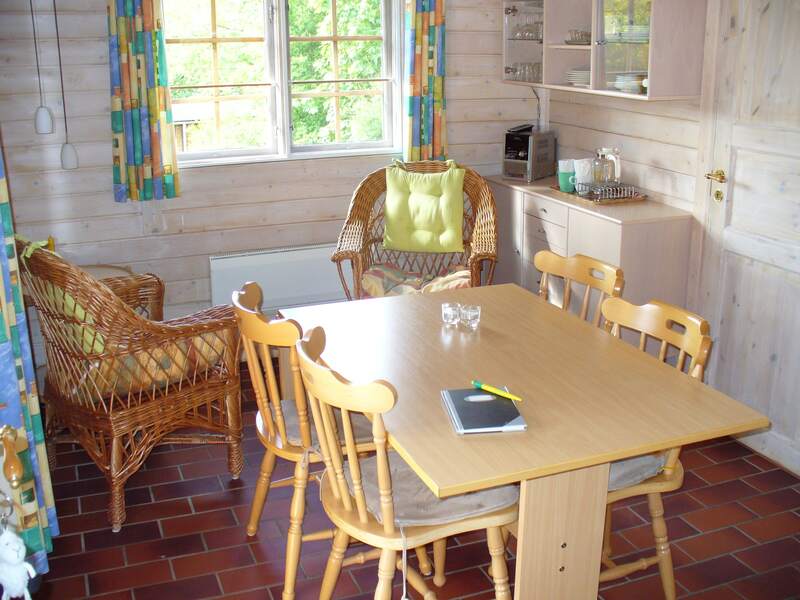 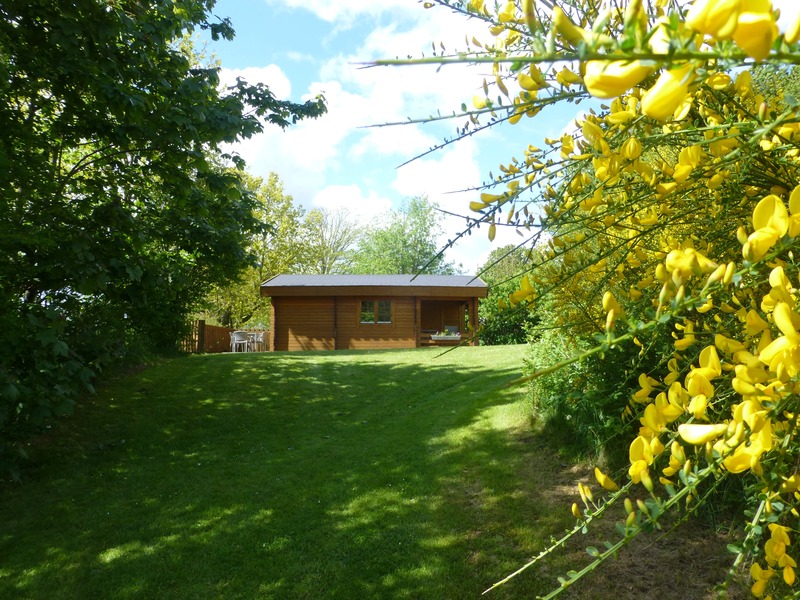 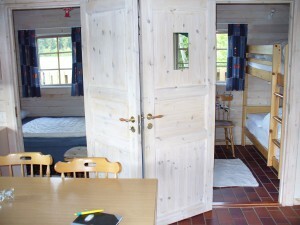 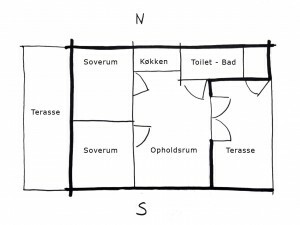 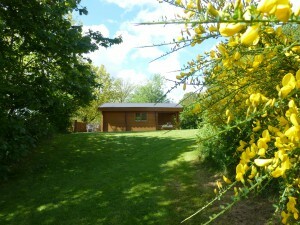 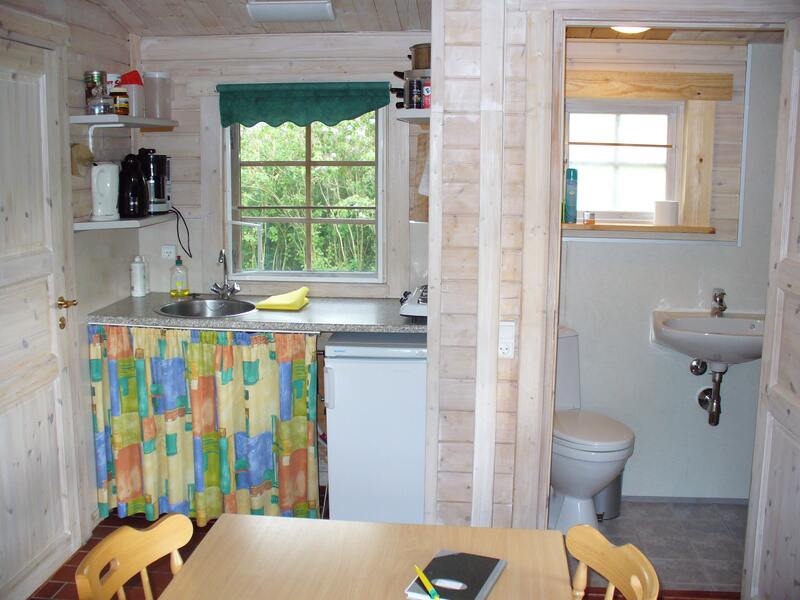 ”Gyvelbo” is a 6 person cabin, situated at the foot of “Gyvelbakken” closest to the campsite and the large playground. One of the bedrooms has a queensize bed, the other bedroom is with 2 bunkbeds (4 beds): You’ll find pillows and duvets for 6 persons. 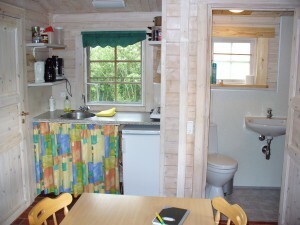 There is hot and cold water in the cabin as well as floor-heating in every room.